Grow herbs or other leafy greens indoors under a Growbar LED light fixture or near a sunny window. 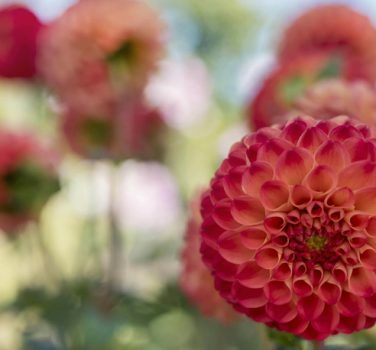 Gardeners know the benefits of digging in the soil. 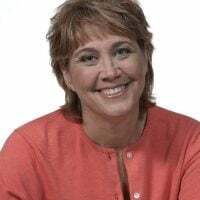 It elevates a person’s mood, improves mental and physical well-being and the outcome is always good – added beauty or tasty nutritional food. 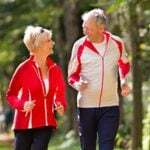 But many of us are stuck indoors for the winter, have a lack of space to garden outdoors or just can’t get enough of this healthful activity. Adding greenery indoors expands our gardening opportunities and provides the many benefits of living with and tending plants. Let’s start with the kitchen. 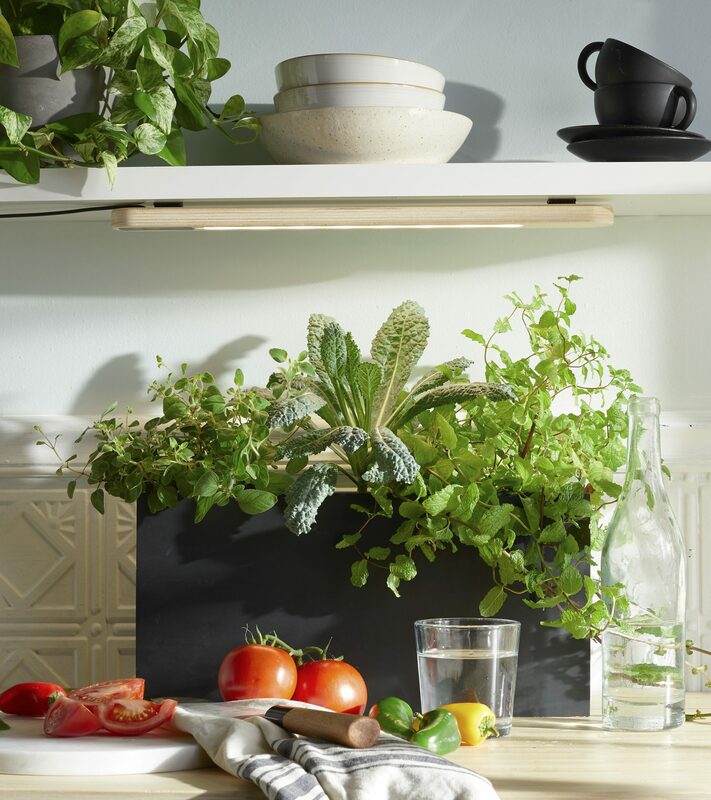 Boost the flavor and nutrition of winter meals by growing leafy greens and herbs in a sunny window or under a cabinet with the help of a Growbar LED light fixture. Start plants from seeds or purchase transplants to grow indoors. Place your indoor kitchen garden in a brightly lit location, free of cold drafts and with easy access to harvest and use. Then enlist the whole family and even your guests into harvesting greens for their salad and herbs to season their meals. This is sure to turn family and friend gatherings into unique and memorable experiences. Include plants in your home or work office. Greenery helps reduce stress even when working at your desk or tackling homework at the end of a long day. Set a few plants on or near your desk or other workspace. And don’t let a lack of light stop you from growing a bit of green stress relief. 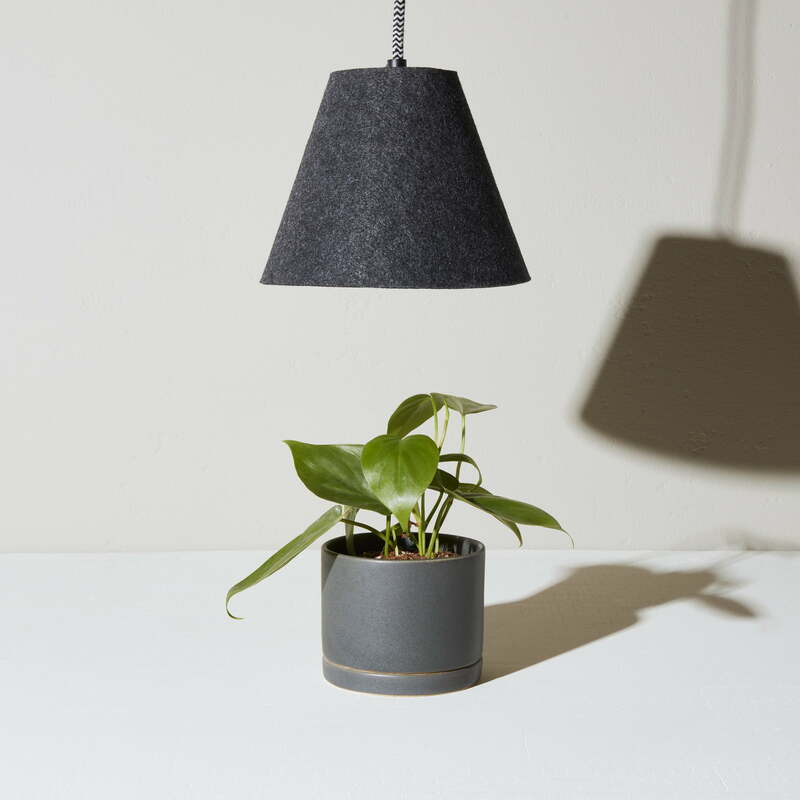 Stylish energy efficient full spectrum plant lights, like the Felt Pendant Grow Light (modsprout.com), fit any décor, direct light where it is needed and promote healthy plant growth. Take advantage of your bathroom’s high humidity. 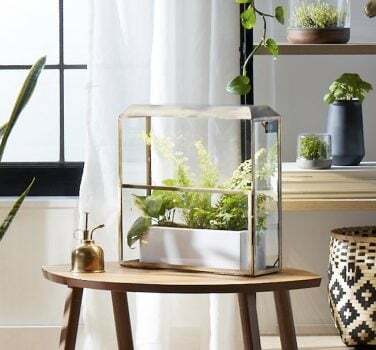 Grow ferns, orchids, bromeliads and other humidity-loving plants in this space. Consider these and other low light plants like cast iron, pothos and philodendron if natural light is limited. Imagine stepping out of the shower into a mini tropical zone. What a nice way to ease into your day. 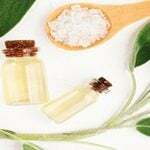 Get a good night’s sleep with a bit of homegrown aromatherapy in the bedroom. Grow lavender, rosemary, chamomile and other soothing herbs in your bedroom in front of a sunny window, on a shelf or other naturally or artificially lit, bright location. Just be sure to give the plants a pet to release their fragrance into the air before crawling into bed for a long restful sleep. Bring the garden to your living room. 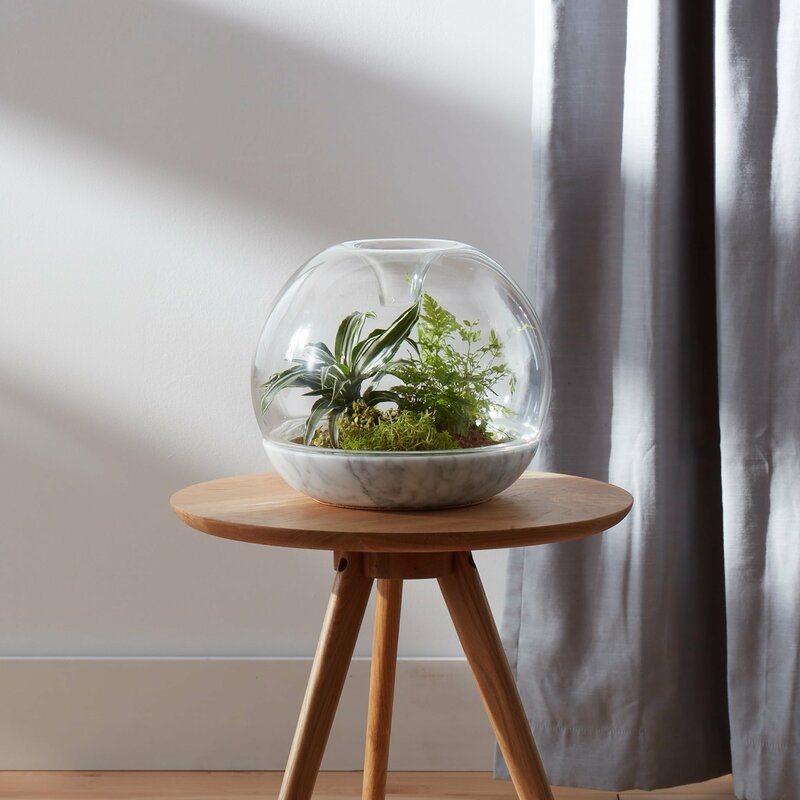 Create your own miniature tropical, moss or desert garden in a terrarium that serves as a focal point in any living space or centerpiece on the dining room table. Use an open terrarium for succulents and other plants that need airflow, lower humidity and space to grow. Enlist closed systems for moss and tropical plants that benefit from the high humidity and condensation that provides continual watering. Select systems like the Botanica Biodome that minimize maintenance and provide easy access for tending mini eco-systems. Now’s a great time to consider rethinking your home décor to include greenery in every space. You and your family will enjoy improved air quality, elevated moods, a reduction in stress and the many other benefits plants provide.